This newly developed directional transmission system allows transmission of audio, video and switch signals via the 24 GHz-ISM frequency range, which is register and cost-free. The use of directional antennas reduces its interference response coming from other systems and increases safety from interception. 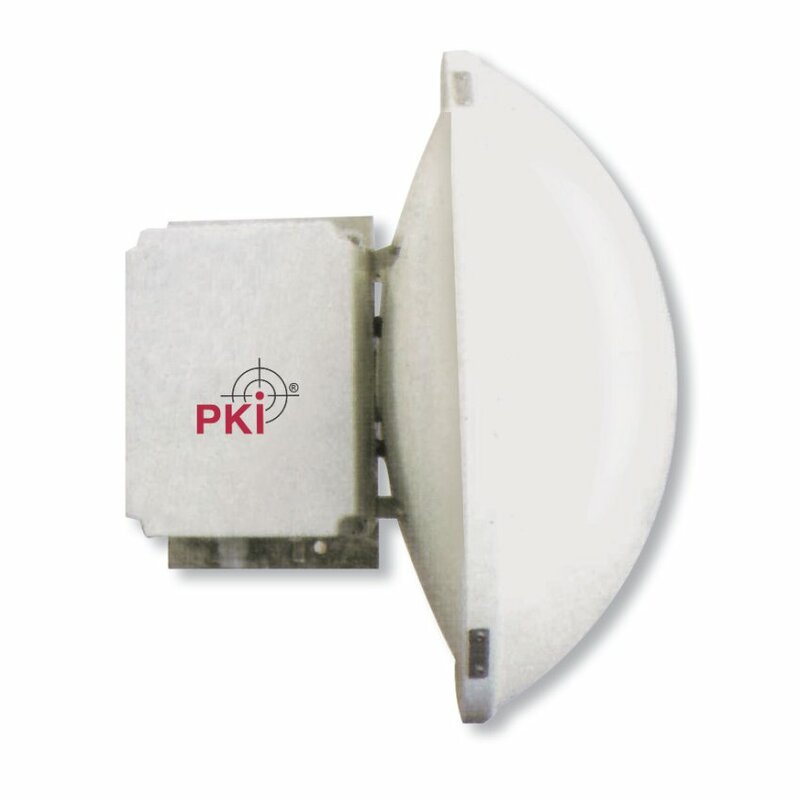 The PKI 5600 covers a range of up to 5 km at a transmission power of 100 mW. Also available are similar devices only for export purposes with 1 W, 10 W and 50 W and up to 50 km transmission range. All cameras out of the PKI product range can be connected to the transmission system and the receiving system is compatible with all our TFT colour displays and video recorders.